Ailish Sinclair spent the earlier parts of her life dancing around and encouraging others to do the same. She now lives beside a loch with her husband and two children, surrounded by castles and stone circles, where she writes and dances (yes, still) and eats cake. Her historical novel, The Mermaid and the Bear, will be published by GWL Publishing Autumn 2019 (more on that here). The pictures are amazing. They draw me like a haunting melody. Absolutely beautiful, thank you so much for sharing! Thanks for following me on twitter. I love visiting Scotland. For years, I visited a friend who lived in Edinburgh. Can’t wait to get back. Your pictures are really great. I see we share a fondness for the writing of Mary Stewart… I hope you get to return to Scotland soon. I have just enjoyed all your photographs. What an interesting personality you have; to love dancing, photography and writing (besides eating cake) and going for walks in that lovely countryside sounds a good way to live your life! Good luck with your writing. Great photos! I recognise some of the buildings from calendars. Been trying to figure out which loch you live near. I’ll keep checking your photos and see it if I can figure it out. Love the views. A-ha! I don’t like to say *exactly* where I live… The loch in question is small and little known 🙂 Glad you like the photos. Absolutely beautiful – there is something about nature that nourishes the soul! Thank you for sharing..btw would like to follow your blog but can’t seem to find the ‘follow’ button! I am so happy I found your blog! Thank you for sharing all these fantastic stories and photos. Your photos are captivating,absolutely beautiful! Thank you for sharing. I’m an American living in Cornwall and when I saw a few of your photos on Twitter I thought at first that they were of Cornwall. Both beautiful, haunting parts of the world. I am so glad to have found you, and I love your presence on Pinterest! My family’s origins hail from Ayrshire and are related to the Stewarts. I’ve spent significant time in Ireland, but have yet to go to Scotland, but know I will! Nice to meet you Claire. I hope you enjoy Scotland when you get here! The pictures are breathtaking, the humaness that shines through your words is touching. I’m reminded to enjoy nature. I hope to visit Scotland soon. After honeymooning in Ireland last summer, I fell in love even more – with the ease of Celtic culture. Thank you for finding and following me today on Twitter — on my very first Tweet! (I still have much to learn about Twitter!) I love your photographs of Scotland — the land of my ancestors. I look forward to following your journey as a writer, as I am also on the journey. Thanks so much for following my blog! 🙂 yours is lovely and I’m delighted to see you’re from Scotland; I have some Scots ancestry and I’m convinced I’m Celtic on the inside! Hey, just checked out your blog and the pictures are so good..! Thank you for following my blog. Please keep posting these amazing pictures .! Thanks for following my blog. I am fascinated with Scotland and love your photos. Thank you too litebeing 🙂 I’m glad you like the photos. Ooh, thank you. I will have to check that out! Dance, photo, books and cake??? Can we be friends? I also have two kids haha! But I don’t live by a loch – nah, I am in Brussels, Belgium, which is nice and charming as well, believe it or not! Thanks for visiting my blog, I’m looking forward to discovering yours, and good luck for the novel!! Exciting project! Hi Ailish! Thanks a lot for joining Thoughts of SheryL! Dance is a song our bodies can sing. Thanks for following my blog. It sounds amazing, this magical place where you live. But ouch, those poor toes!!! 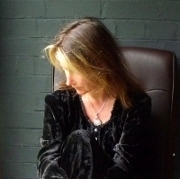 Thank you, Ailish, for following my blog. You’re welcome and thank you for the toe sympathy! Thank you so much for visiting my blog and for the follow, Ailish. I have enjoyed looking at your most recent posts and am now following you. Best wishes, Clare. Thank you for following my blog. I appreciate that. I am returning the favor by following your blog as well. 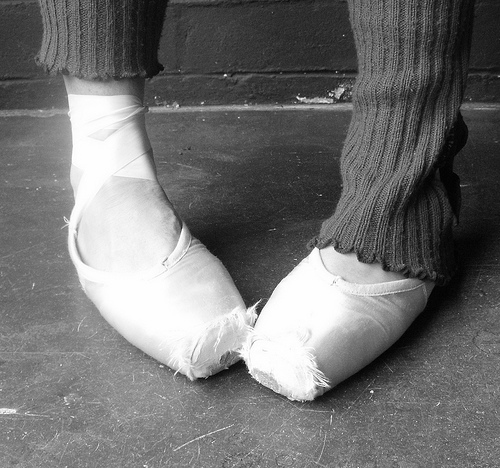 Love the pointe shoes, Ailish! Thanks for following The Write Edge. I hope you find it interesting and informative. Have a wonderful day! Pingback: I Ain’t Got Nuttin But Love For Ya, Baby! | A Blog, A Magazine. It's JustsumInspiration! Oh, my! I just scrolled through some of your jaw-droppingly gorgeous photographs–how fortunate you are to live in such a fairyland of a place! I’d love to visit Scotland, home of at least some of my ancestors. The closest I’ve ever gotten and, I suspect, will get, was to Nova Scotia. At least, I live in the northwest mountain of North Carolina, where many Scots immigrants settled because of the craggy mountain peaks that reminded them of home, so I’m told. Wow! Some Stunning photo’s and stories – you do indeed live in a wonderful part of the world. Thanks for the follow – I’m touched that you spend some time looking at my lackluster efforts.